"Wow!!! Welcome Home to your better then new, very well maintained home! 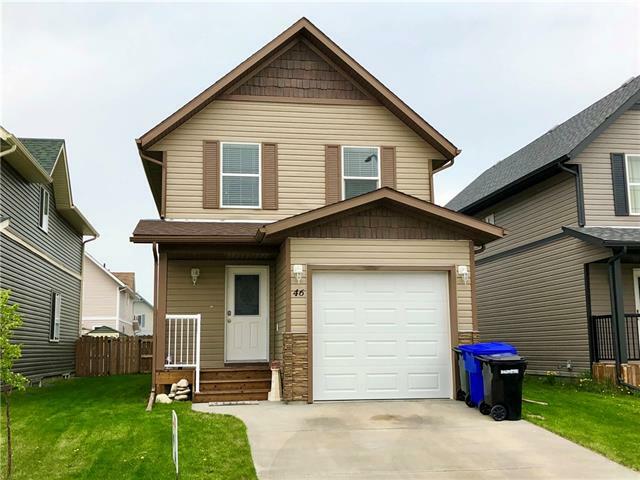 Perfect for singles or families, with the open concept main floor which features generous living/dining and kitchen with eating bar and separate pantry, as well as 2pc bath. This area also provides access to the rear deck, overlooking the fenced rear yard, perfect for entertaining or a trampoline! Upstairs, you will see 3 large bedrooms and a 4pc bath. Basement is open and waiting for your creativity to put in a family room, and or a 4th bedroom. You will appreciate the attached, single garage, perfect for keeping the snow off your car. This home is located on a quiet crescent and is just a hop, skip and jump from an amazing children park complete with play equipment. Don't delay, put this on your list today."